Pharmaceutical brand managers have the task of bringing success to a brand's lifecycle. Every brand has this lifecycle – where it is introduced to the market before it eventually 'dies' out. People who work in this role will want to make that brand as successful as possible while extending its lifecycle as much as they can to get more profits out of the drug. In this role, you may be marketing a brand new health product or you might be revitalising an old one to help generate renewed interest in the product's benefits. Earning power is high in this role, with the low end of the salary being approximately £25,000 and the high end going over six figures. To succeed in this role, you should have a creative mind as you will need to come up with new ideas to market the product. Sales forecasting and the ability to devise an effective marketing strategy are both vital to this role. Accuracy and teamwork are similarly important, as you will be working with others. Communication with physicians and many other health professionals will ensure that your brand remains current and strong. Training can vary immensely for this role and an employer will probably look at a number of different educational backgrounds. Many people go into pharmaceutical brand management after they have already worked in the medical industry. It is common to see pharmaceutical brand managers coming from a diverse range of backgrounds in the life sciences. Some may have worked in clinical research while others may have worked in the laboratory. A smaller number may have completed a bachelor's degree in economics or business. While the marketing aspect of this role is huge, having specialist healthcare knowledge is important. This is one reason why many people who fare well in this career will be trained in a medical area and will have a deep understanding of healthcare brands. Most employers will probably agree that postgraduate training in marketing is key to getting the advantage though. A Master's degree in a relevant subject can make a difference in helping you get ahead and understand the market. Those who have heard of general brand managers might wonder what makes healthcare different. One reason that this career is such a specialised one is that these brands have the potential to heal and the potential to harm. The side-effects and adverse reactions that can occur all make this kind of brand management more challenging. While the lifecycle of a regular brand isn't one fraught with health concerns, the lifecycle of a pharmaceutical brand carries different challenges. Initially, the product will have to go through expensive and lengthy clinical trials. Some drug companies may even introduce their brand before it is approved, doing so under a named-patient programme. Once approved, however, real life usage can still bring 'surprises' that were not determined during clinical trials. If you have heard of a drug being pulled from the market after approval, it is often due to unexpected reactions to the drug. There may be a stronger threat of litigation working in the pharmaceutical area as opposed to regular brand management. Another challenge in pharmaceutical brand management is that after a drug company invests millions in a drug, they have a limited number of years in which they can be the sole provider. 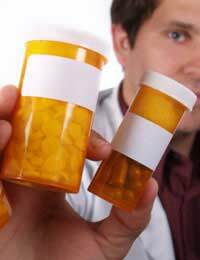 Once their patent runs out, generic versions of the drug are allowed to be sole. As a pharmaceutical brand manager, you have the task of trying to extend that drug's lifecycle for as long a possible – ideally beyond the time when patents expire. Still, those who work as pharmaceutical brand manager may tell you that they would not want to go into general brand work. The rewards of bringing life-enhancing and life-saving drugs to the market and keeping their presence strong can be very rewarding. If you enjoy marketing and have an interest in the sciences and health, then working as a pharmaceutical brand manager may be right for you.